In 1987, I began with a pickup truck and a dream to build a construction company founded on uncompromising quality and to complete the projects just as if they were a part of my own home. Now, more than twenty five years later much has changed. Today I am a State Certified General Contractor specializing in Marine Construction and Custom Decks. The old truck is long gone and the first little warehouse in Davie has been replaced. I don’t put on the tool belt any longer, but rely upon multiple crews of the finest master carpenters and installers that can be found. Our crews are supervised to insure that every project, big or small, will receive superior service and workmanship. We never cut corners and we refuse to compromise. My employees have become my extended family. We have a close bond and a relationship at this company that makes everyone feel personally involved in every project. It's not just my name on the sign it's the pride and satisfaction that everyone shares at Morrison Contractors when a "Dream Project" is finished and exceeds your expectations. Look no further, you've found the best! 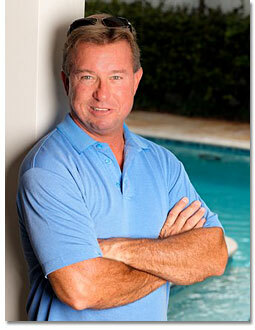 Morrison Contractors has provided quality construction to families and businesses throughout South Florida since 1987. We would be pleased to provide you with a free estimate. Call us today or send us an email. We are ready to turn your dreams into reality!